Today we bring you another drug from the line of Body Research pharmaceutical company. 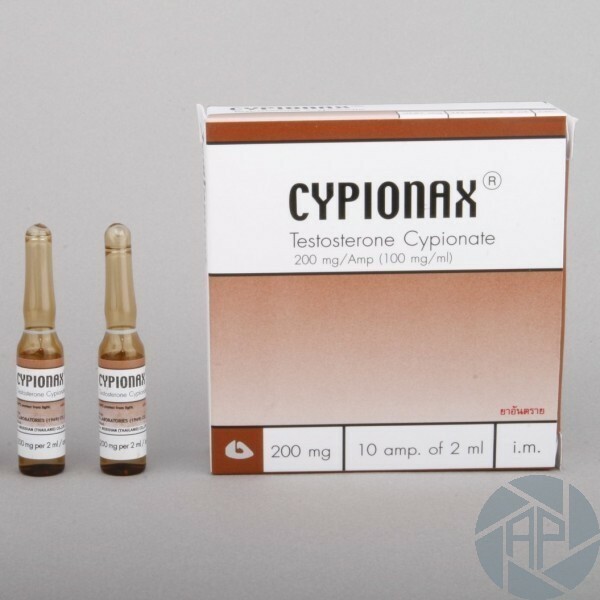 The basis of the active ingredient of the drug testosterone esters has been taken. While the duration of the action of the drug is big enough, injections are performed once a week, which could save a high concentration. Since the drug contains esters of testosterone, which involves some unique features. In particular, the side effects. To avoid to the extent possible, it is necessary, at the end of the course to move to the stage of a course of therapy. As in many other cases, it is with such drugs tested and proven long as tamoxifen and Proviron. In the event of a significant excess of the rate (more than four weeks), it is not superfluous to add gonadotropin. This will be removed effective drug at the expiration of the acceptance of the body. A real drug benefit is its ability in combination with other drugs. In particular, it is well suited and works with nandrolone. Of course, if the drug is used in combination classes, its dosage is significantly reduced and will be proportional to the drugs, which are taken in parallel. Every athlete who intends to take the medication on a regular basis is important to know that the observance of optimal and recommended doses will not only improve the positive effects of the drug but will also help to avoid many of the negative consequences of his admission. Dosage for beginners is about 250 mg per week. The dose can be increased up to 800 mg per week for athletes with more experience and confidence. In this range, following the completion of the course will be observed good results in a net increase in muscle mass. Exceeding the dose of 800 mg per week, athletes can begin to develop the symptoms of side effects actively. Athletes who take the drug say excellent properties, which leads to active recruitment of muscle mass and burn excess fat. However, at the same time, bearing in mind it is a high propensity for the conversion to estrogen in the body. This, in turn, is the reason why at the end of the course of the necessary skills to start after a course of therapy. The role of this drug in bodybuilding is undeniable, since it constitutes a real influence in the muscle growth process, to strengthen it. Also, significantly increased athlete performance power, its strength, what is very important during the cycle of cumbersome and tiring training. The main side effects of the drug are the loss of hair on the head and body, up to total baldness, the Suppression of its testosterone case. Natural v of the violation of an overdose of the drug may be a manifestation of the symptoms of gynecomastia. Most of these side effects can be corrected with a simple prevention, which is moderately and avoids taking the overdose of drugs from them, as well as after the course of therapy with the help of appropriate loan amounts.